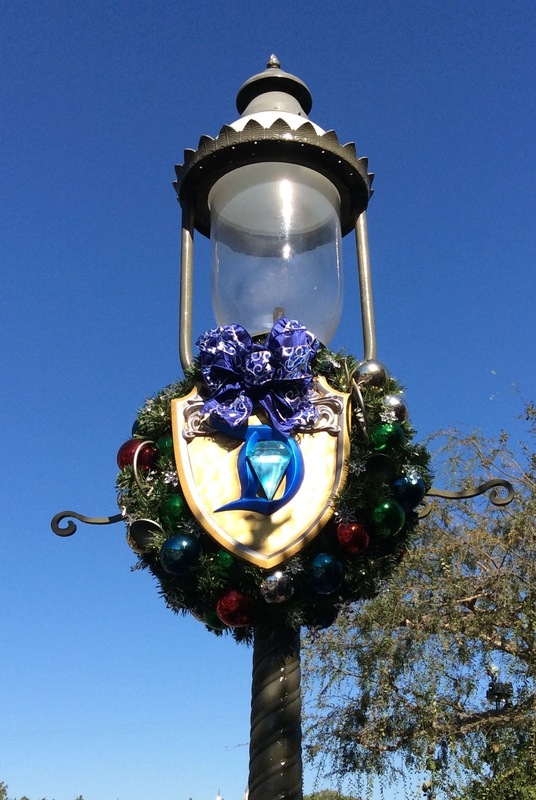 Laura's Miscellaneous Musings: Today at Disneyland and Disney California Adventure: Christmastime Arrives! Today at Disneyland and Disney California Adventure: Christmastime Arrives! It was an absolutely beautiful day today at the Disneyland Resort, the first official day of the parks' annual celebration of the holiday season. The Christmas season starts early at Disneyland, but this is one place I really don't mind starting the season "early"! It's my favorite time of the year at the parks, and there's so much to see, it usually takes our family several trips spread over November and December to enjoy everything, including parades and holiday rides. Decorating the parks, including converting multiple rides to holiday versions, is an enormous annual undertaking for Disney. The early start to the season also allows as many park guests as possible to enjoy it. I noticed that some of the colorful tree ornaments I love are a little worse for the wear this year, so I hope that Disney will be taking care of the nicked paint over the course of time. I hope to be back at the parks soon to enjoy more of the season -- possibly as soon as next week. For last year's Disneyland Christmas photos, start here and then scroll to the end for links to four earlier 2014 photo posts. This Sunday is Toronto's Santa Claus Parade. It is the 110th parade. My, how time flies! I'm going to start slipping some Christmas music into the mix and I've gotten out the big book of Christmas mysteries. Yeah! Wow, 110 years, that's wonderful! I usually start playing my instrumental Christmas music around now...time to start slipping some in, as you say!